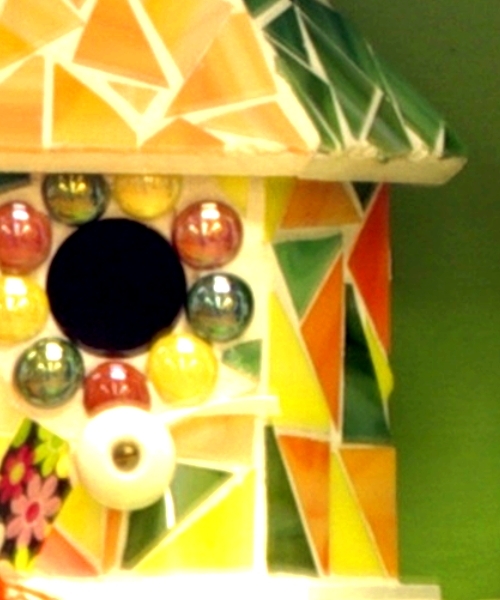 Stained Glass Birdhouses — Mines & Finds Jewelry, Etc. 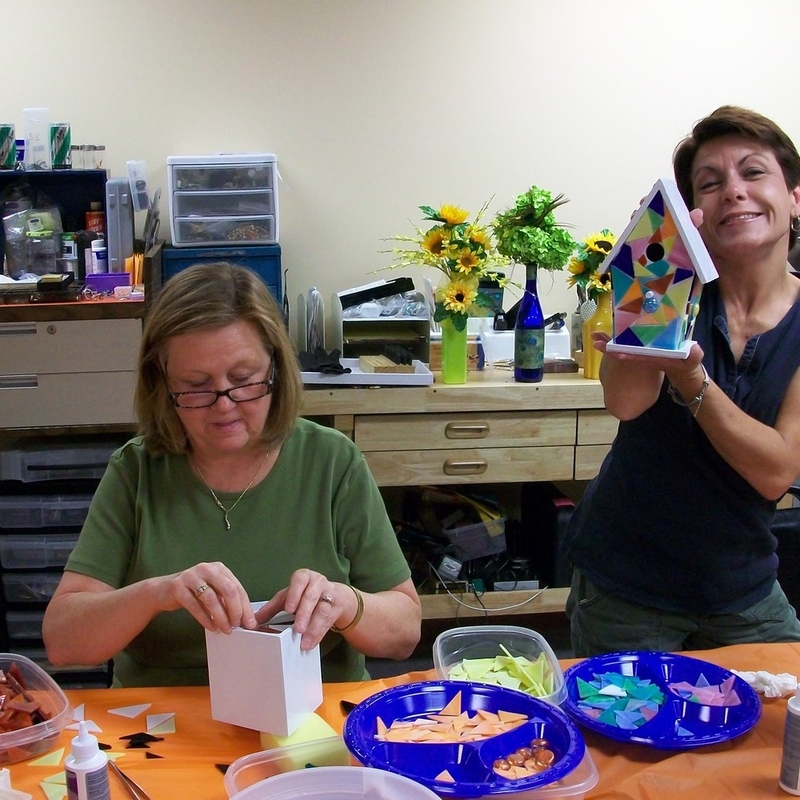 Come join for some fun and create your own birdhouse using mosaic stained glass with self-made craft instructor Deb Kempf. Everything is furnished and cost is $40. Please bring your own lunch & drink. Refrigeration available. Sept. 27 - Full & Completed-see pics! add your names to the workshop list of participants. 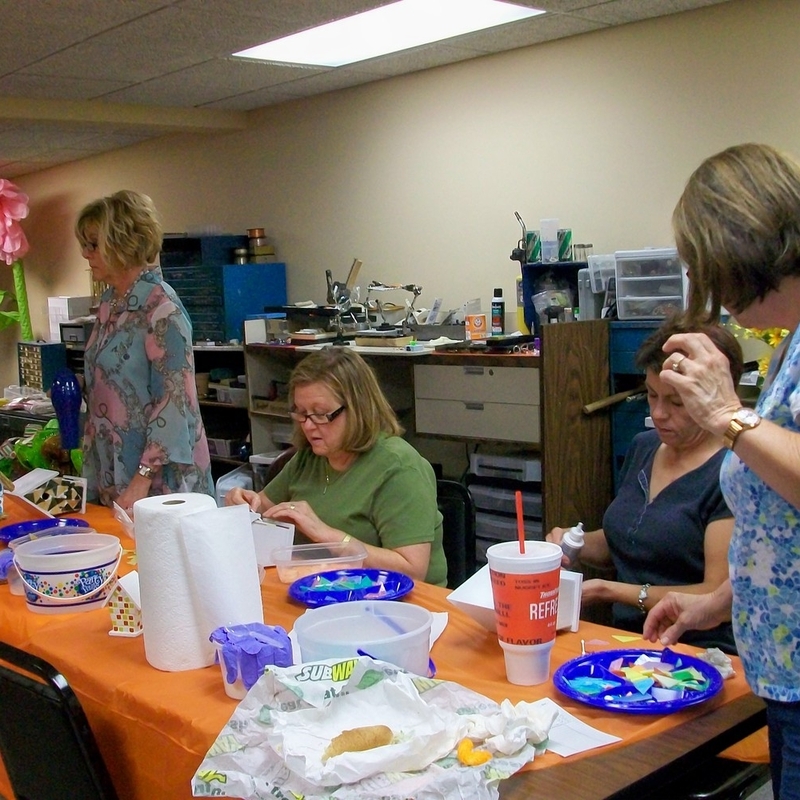 Deb Kempf has lived in Evansville, IN all her life and is a self-made craft instructor involved in many types of artistic mediums.